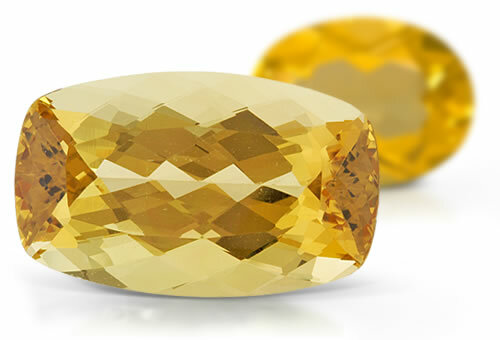 Displaying characteristic yellow to yellowish greens, heliodor is the most cheerful variety of beryl. Interestingly, as an allochromatic gem, pure beryl is colorless, with traces of different elements responsible for beryl's wide range of colors. Heliodor is named from ancient Greek words meaning "gift from the sun," as it was once believed that heliodor harnessed the power and warmth of the sun and was responsible for the change between day and night. RI usually falls closer to the 1.577 range. Heliodor is a type I clarity stone but sometimes contains tubular, liquid or planes of small two-phase inclusions.